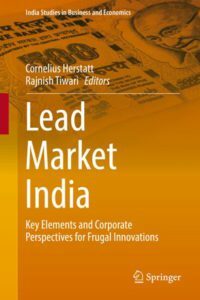 In a fruitful cooperation between Center for Frugal Innovation (CFI) and the Cambridge Judge Business School, University of Cambridge, Rajnish Tiwari and Jaideep Prabhu have published a conceptual paper on the potential role of frugal innovations in contributing to “soft power” of its creators. An edited version of this paper is scheduled to appear as a chapter in a forthcoming book on Indian soft power by the Ananta Aspen Centre (AAC). 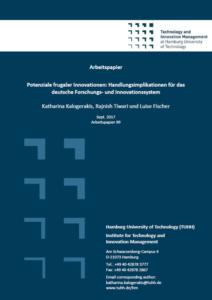 The paper has been published in the Working Paper series of the TUHH Institute for Technology and Innovation Management. The project was initiated after being requested by the AAC to contribute a chapter to the aforementioned contributed volume in May 2017. The chapter was finally contributed in January 2018 and is now in the process of publication. Abstract: After an initial introduction into the areas of innovations within emerging markets, the study develops a consistent innovation typology for categorizing large data samples from a variety of existing literature. It then describes and finally evaluates a sample of 178 innovations for the Indian market based on 38 different criteria. It uses internet-based news reports over a 2 year timeframe for the study sample. T he study’s results show a considerable amount of radical innovations and innovations with disruptive potential among the sample and a special concentration on small- and micro-sized innovators from India. It confirms previous suggestions that India is especially focused on innovations within the software and electronics engineering sectors. The results also support the importance of local knowledge and ‘social capital’ for successful disruptive innovation. Finally, a perceivable increase in the technology orientation of innovations by foreign companies suggests a continuous build-up of local technology-competence and foreign trust in the same. A focus on local competencies and the leading position of India concerning innovative distribution are among the managerial implication of the study. It also opens numerous avenues for future research, expanding both depth and scale of the database as well as the analysis underlying this study. With this article, CFI is introducing a new series of “featured publications” with the intention to share its select contributions to the social and scholarly discourse with the broad community. Some of these article have been published in mediums that are not freely available to the public. In such cases, we will seek to provide access to unedited, authors’ versions of the publications, wherever feasible. 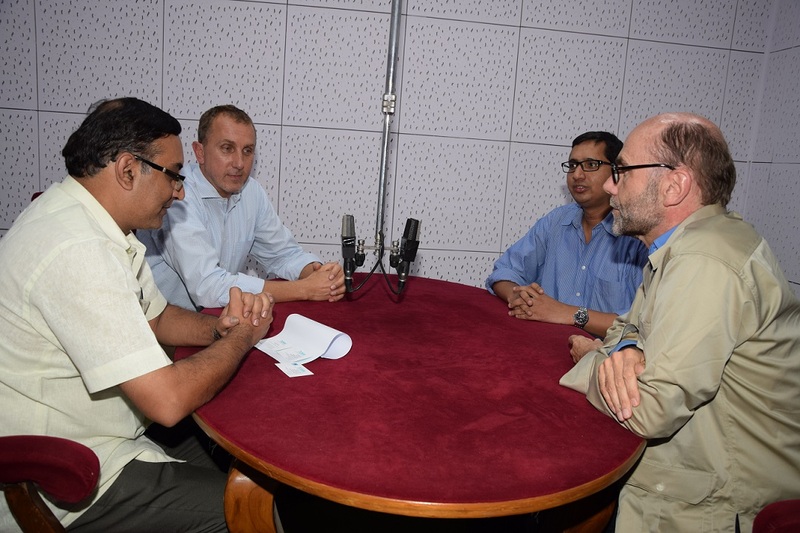 Recently, on a visit to India, the External Services Division of the All India Radio (AIR) expressed interest in speaking to Prof. Dr. Cornelius Herstatt, Dr. Stephan Buse and Dr. Rajnish Tiwari, to discuss the avenues of Indo-German collaboration in the field of technology. The time of the talk could not have been more appropriate as the German Chancellor Angela Merkel was then on an official visit in India leading a large delegation. There was a keen interest being expressed in the public space about Germany and Indo-German collaboration. The resulting interview, of about 22 minutes’ duration, and touching on different aspects of collaboration, was broadcast on Sunday, 11th October 2015, in the program “Dateline Delhi”. Photo & audio file courtesy: All India Radio. Recently, the Times of India (Pune edition, July 4th, 2015) carried out a report on avenues of Indo-German partnership, especially in the field of startups and research. The article, titled “Indian startups, research ideas catch Germany’s eye” was written by Ms. Roli Srivastava, who was “in Germany on the ‘Media Ambassadors India ­ Germany’ fellowship programme of the International Media Centre and Robert Bosch Stiftung”. Ms. Srivastava paid CFI a visit and talked with Dr. Stephan Buse and Dr. Rajnish Tiwari on various aspects of Indo-German relations and especially on “frugal innovation”. 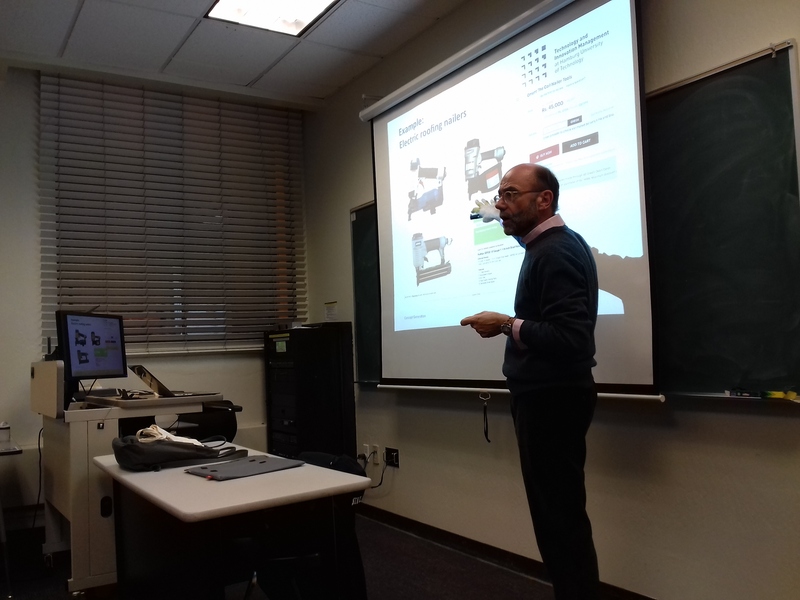 One aspect of this talk centered on a partnership that CFI has forged with Prof. Aravind Chinchure, chair professor of innovation and entrepreneurship at Symbiosis International University in Pune (India). Her visit to CFI was preceded by a talk by Dr. Rajnish Tiwari to the group of “Media Ambassadors India Germany” at the International Media Centre of the Hamburg University of Applied Sciences, on the following theme “Partnering in the technical field: Current status and future scope for Indo-German relations”.